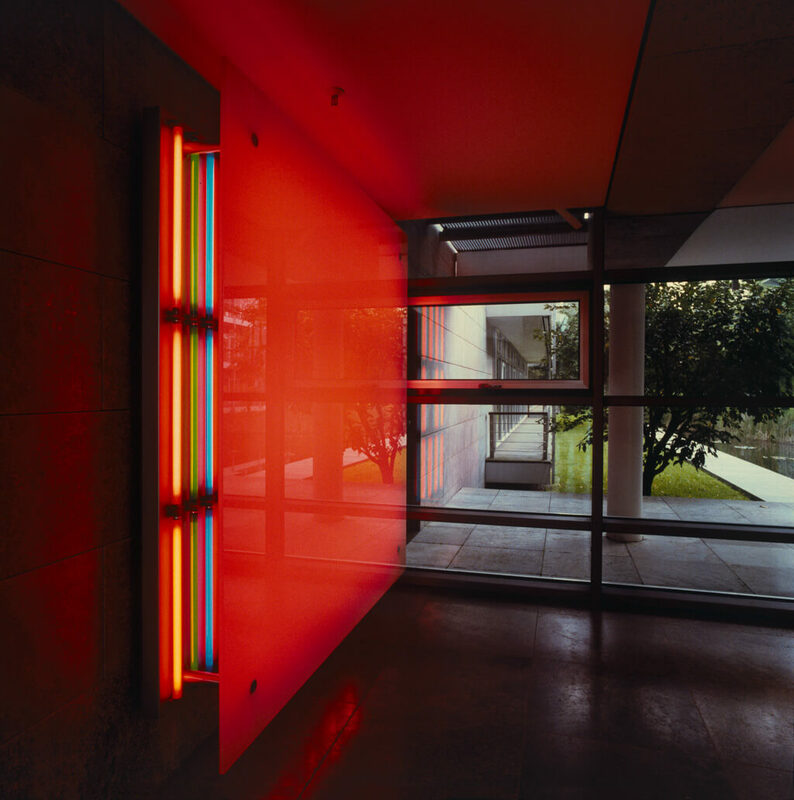 The light wall at the headquarters of the Kassel-based energy firm EAM is one of Thomas Emde’s earliest works of light art. Hidden behind the large glass diffusion panel in the entrance area are steerable RGB florescent tubes. The subtle but constant changes in color — from the coldest of blues to the warmest of reds — not only bathes the entrance in a continually changing atmosphere of light, but is also a visual representation of the “energy” with which the group works.